BEIJING - China is expected to announce a reshuffle of its top diplomats at an annual meeting of parliament in March, aiming to deal with US President Donald Trump's growing suspicion of Beijing, several sources familiar with the plan said. The sources, including foreign diplomats, told Reuters that Wang Qishan, a close ally of President Xi Jinping, will likely become vice president with a portfolio specifically focused on handling ties with Washington. He would report directly to Xi. Current Foreign Minister Wang Yi will probably become a state councilor, replacing current top diplomat and State Councillor Yang Jiechi, who has been promoted to the Communist Party's 25-member politburo, the sources said. State councilors, who report to the Cabinet, are more senior than the ministers responsible for the same portfolio. Another possibility was that Song Tao, head of the Communist Party's international affairs department and close to Xi, could become foreign minister, the sources said. Song is a career diplomat who has worked in India and the Philippines and speaks good English, diplomats who have met him say. Yang, who joined the politburo in October, could become a vice premier with responsibility for foreign affairs, or become a deputy head of China's parliament, which would mean he could deal directly with the US Congress, the sources said. Effectively Wang Qishan will be China's senior-most diplomat, then Yang and then Wang Yi. "There will be three top diplomats," one of the sources told Reuters, referring to the three officials. "The United States will be a focus." The sources cautioned that last minute changes are still possible and the positions won't become finalized until parliament nears the end of its annual session around mid-March. All the sources spoke on condition of anonymity, either because they were not authorised to speak to foreign reporters or because of the sensitivity of discussing personnel appointments, considered secret until they are announced. Neither the Communist Party's Organisation Department, which oversees personnel decisions, nor the State Council Information Office, which doubles as the party spokesman's office, responded to questions about the new diplomatic appointments. Despite a largely controversy-free visit by Trump to China in November, tensions, especially over trade, have worsened. Trump has long sought a way to a more balanced trade relationship with China and threatened to impose a big "fine" against Beijing to protect American intellectual property. Trump has also been discussing imposing a tariff on imports of steel from China and other countries. 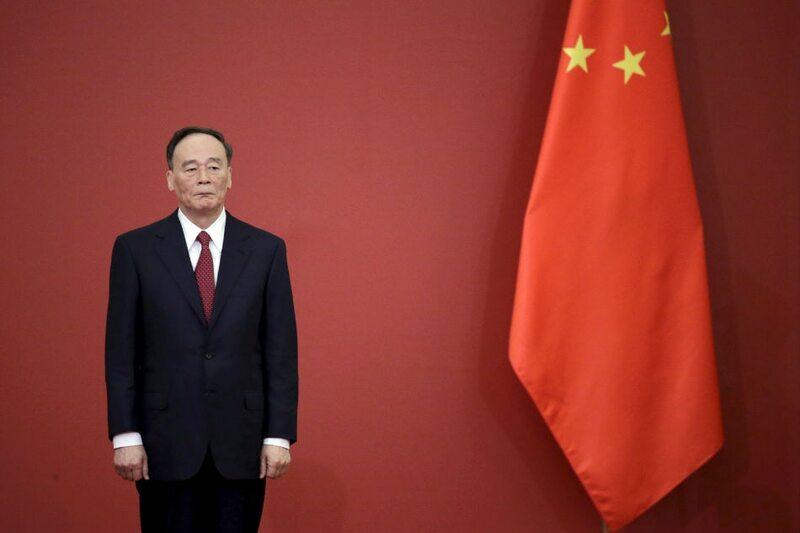 The role of Wang Qishan, who is not related to Foreign Minister Wang Yi, has been subject to intense speculation since he stepped down from the party's Standing Committee, the apex of power in China, in October. Close to Xi and the man in charge of Xi's sweeping anti-corruption crackdown over the past five years, Wang Qishan, at 69, had reached the age at which top leaders technically have to step down. As he's such an experienced politician, Xi is going to keep him on though, the sources said. "Wang Qishan is a heavyweight. And the Americans respect him," a source with ties to the leadership told Reuters. "Hopefully he will be able to temper American hostility." Diplomatic and US business sources say the United States has all but frozen a formal mechanism for talks on commercial disputes, because it is not satisfied with Beijing's efforts at opening its economy. Any effort by China to elevate formal exchanges on trade issues, for example from a cabinet to vice presidential level, would require the White House's consent too. State Councillor Yang is not seen to have achieved any breakthroughs in his unofficial role as China's special envoy to the Trump administration, despite speaking fluent English and being a former Chinese ambassador in Washington. This is partly the reason Liu He, a top economic adviser of Xi's, is visiting Washington this week, said a senior Asian diplomat, citing conversations with Chinese officials. "Yang will remain a senior diplomat but maybe with less of a United States role," said the diplomat. Wang Yi has been increasingly outspoken in his defence of Beijing's interests in recent years and is unusually media friendly for a Chinese official. The possibility he could take up two positions concurrently is unusual but not without precedent. Defence Minister Chang Wanquan, for example, is also a state councilor. There are currently 4 state councilors - 1 was sacked on Saturday for corruption - who have specific areas of responsibility, such as defense or foreign policy. As a state councillor, Wang would also have responsibility for another tricky issue - self-ruled Taiwan, claimed by China as its own and which Beijing fears is on the road to formal independence. Wang however has less experience dealing with the United States, and is a Japanese speaker rather than an expert in English. "Promoting Wang would be a reward for him," said a Western diplomat, referring to Wang's spirited public defense of Chinese positions, ranging from the disputed South China Sea to rejecting accusations of Chinese spying on the African Union. Read More: US China defense and security diplomacy Donald Trump foreign policy.